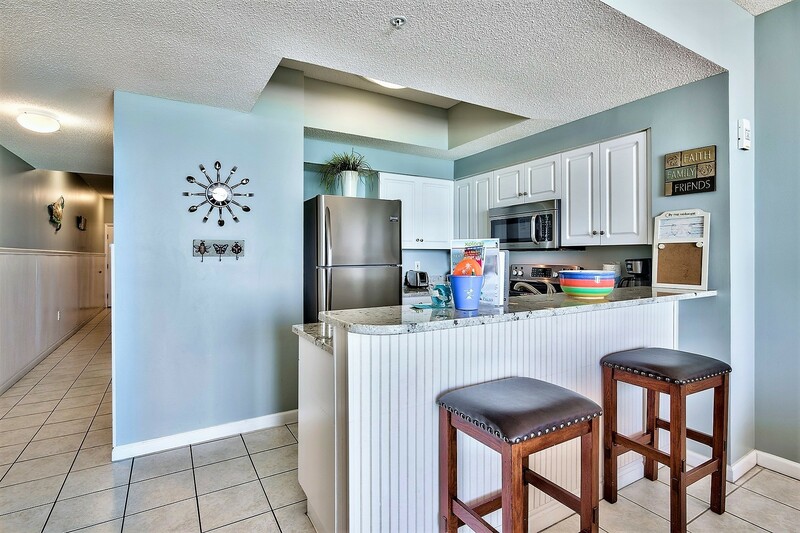 This condo in Majestic Sun 506B is perfect for a romantic getaway or a fun family vacation! Enjoy your morning coffee on the 5th floor balcony while watching beautiful sunrises and gazing out over the Gulf of Mexico - you may even see dolphins out for a morning swim! This condo also comes with two beach chairs and an umbrella, so you can easily stroll down to the beach and spend the day lounging in the sand. This one bedroom condo has recently been updated with new furniture and decor. 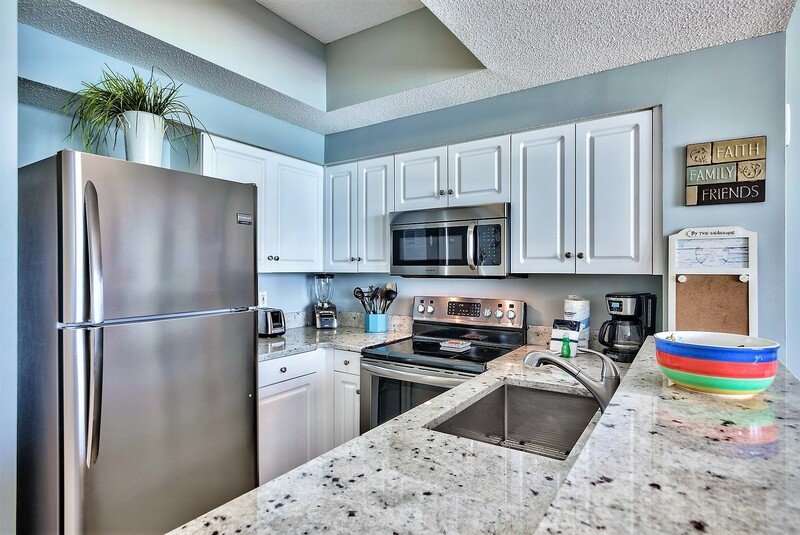 The kitchen has just had an amazing remodel with beautiful granite and upscale appliances. The master bedroom offers a luxurious king size bed, new LCD TV, DVD player, an iPod docking station, and an adjoined master bathroom. For additional guests, you will find hallway bunkbeds and a queen size sofa sleeper in the living room. This spacious condo can easily accommodate up to six people, perfect for a family trip to the beach! 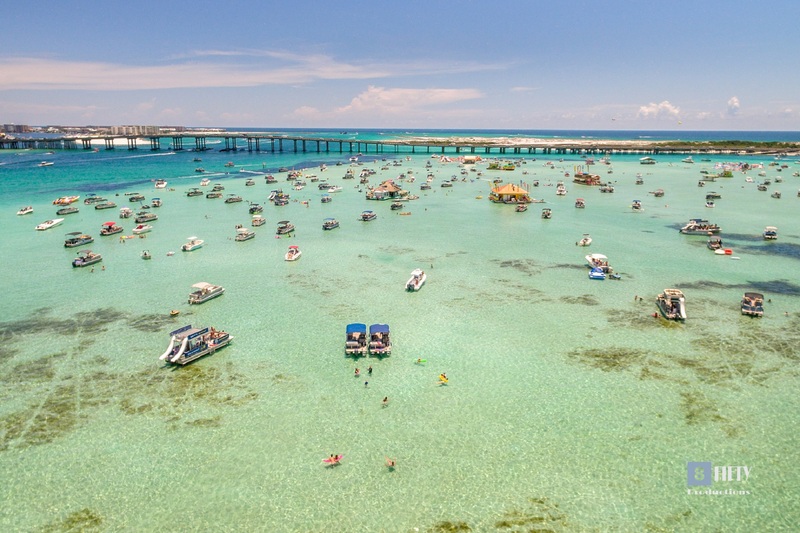 "Initially went to Destin for my birthday 9/21. Hurricane Michael hitthe day after we arrived, but miraculously, we were untouched. Destin Palms was the fourth rental for us, as we slowly extended our vacation a week at a time, until before we knew it, we'd been there 3 months and it was Christmas Eve. That is a testament to how great our stay was at Majestic Sun. The rental company is amazing and responsive. 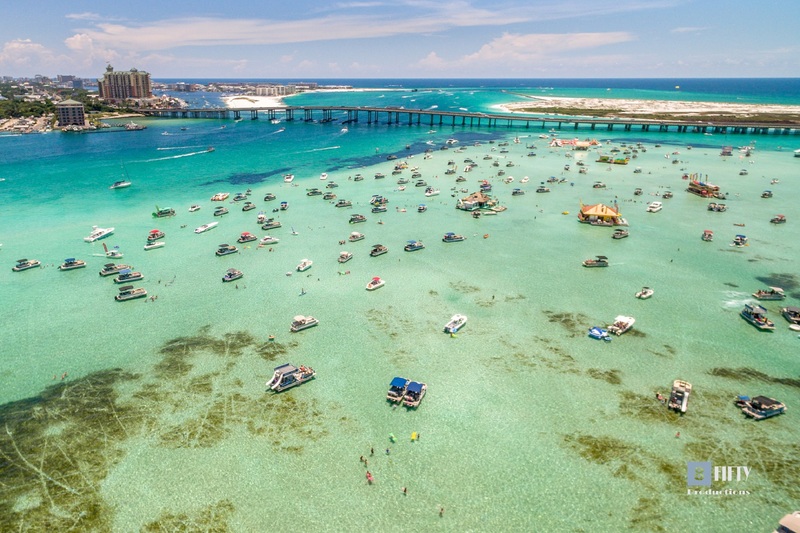 I'm happy to report we will be moving to Destin in February. All because of what should have been a one week birthday trip. Thanks for making it great, guys!" "Carmen and Dustin, you both were a pleasure to host. Thank you so much for sharing your experience with us. We look forward to your next stay with us anytime you need another staycation! 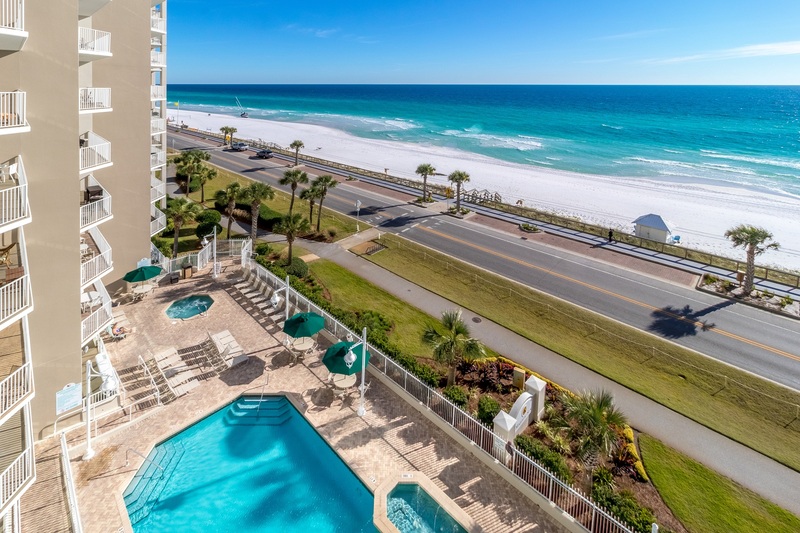 :) Best Regards , Destin Palms Management "
"The rental space at Majestic Sun room 506B was perfect. The location was great and the unit was clean and the perfect size for our family! " "Thank you Kimberly! 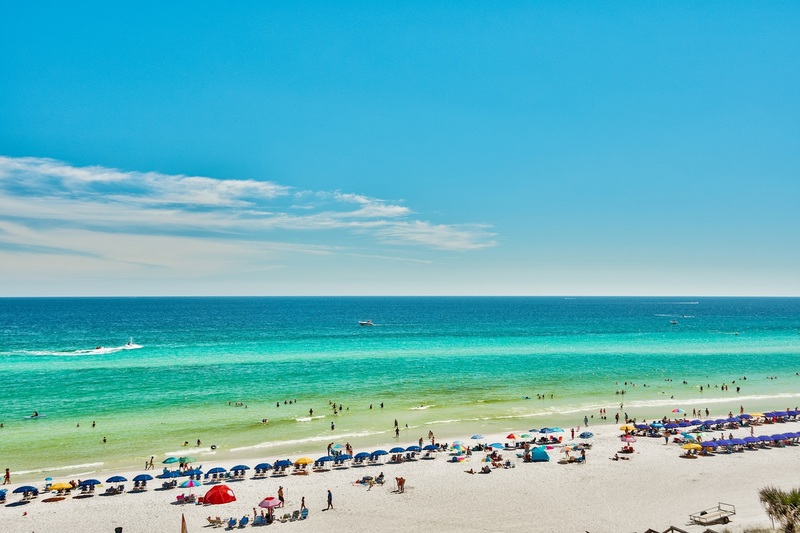 Once again, we thank you for choosing to stay with us here at Destin Palms and we do hope that we will have the pleasure of your company again in the near future! Best Regards, Destin Palms Management"
"We had the best time can't wait still October yes we are coming back "
"Loved the location, the people and the place. Great place to be away and enjoy the beach!" "We had a WONDERFUL time! The unit was clean and well appointed and the rental staff could not have been more helpful and accommodating. We have visiting this unit each year on our Anniversary and it gets better each time. We will definitely be back - thanks everyone!" "Thank you for your feedback. We are happy you continue to return and look forward to you coming back again and again. 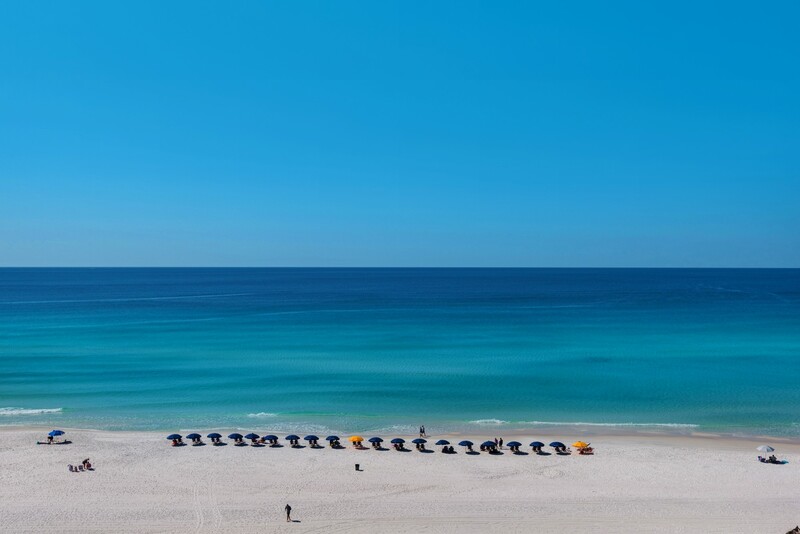 Destin Palms Management "
"The beach is always amazing. Condo was very reasonably priced for the size and style. We had everything we needed in the kitchen and we were very comfortable throughout our stay. More hooks in bathrooms or by door would be very helpful for storing hats, bags and other items. " "Thank you for your feedback. We appreciate your observations and will pass them along to the appropriate people. Look forward to seeing you again. 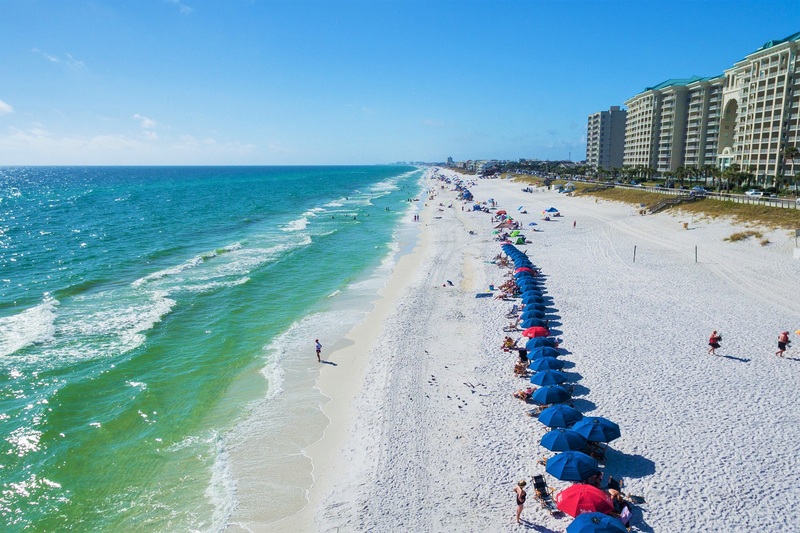 Destin Palms Management "
"I love the Miramar/Destin Beach area. The condo at Majestic Sun had a great view and very homey." "Thank you for the feedback. We are glad you enjoyed your stay in our unit at Majestic Sun. Hope you will come back to see us again. 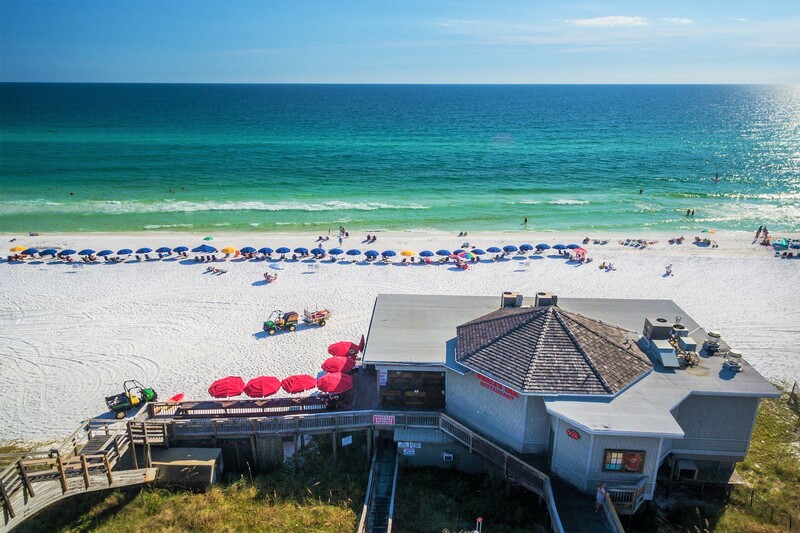 Destin Palms Management "
"Great time in a great condo on a great beach! As advertised this condo was clean and had a killer view of the beach. Easy access to the beach just across the street was perfect. " "Thanks for your comments. We are happy you had a "GREAT" time which is what our goal is. Too ensure all your needs are met and you find what is advertised and not an exaggeration. Hope to see you again in the future. 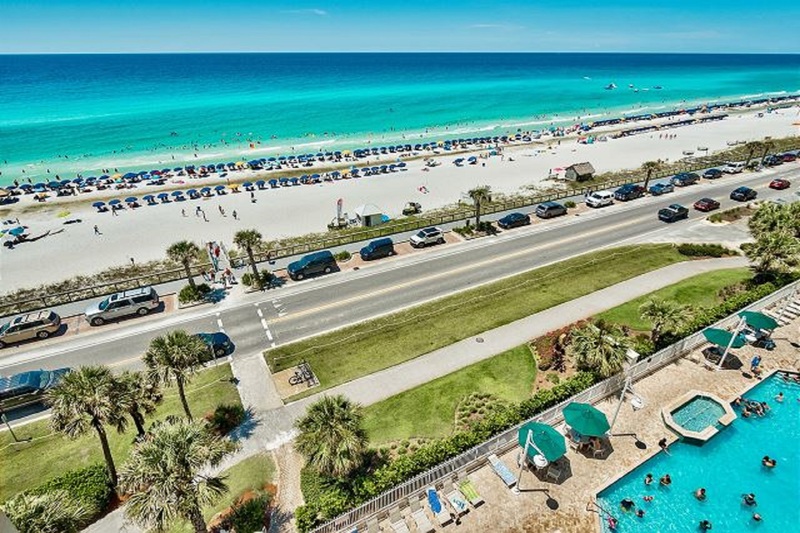 Destin Palms Management "
"506B is a great rental. The property was clean and looks the same in person as from the photos, so you know what you are reserving. The kitchen was well stocked, and the view from the balcony is perfect. 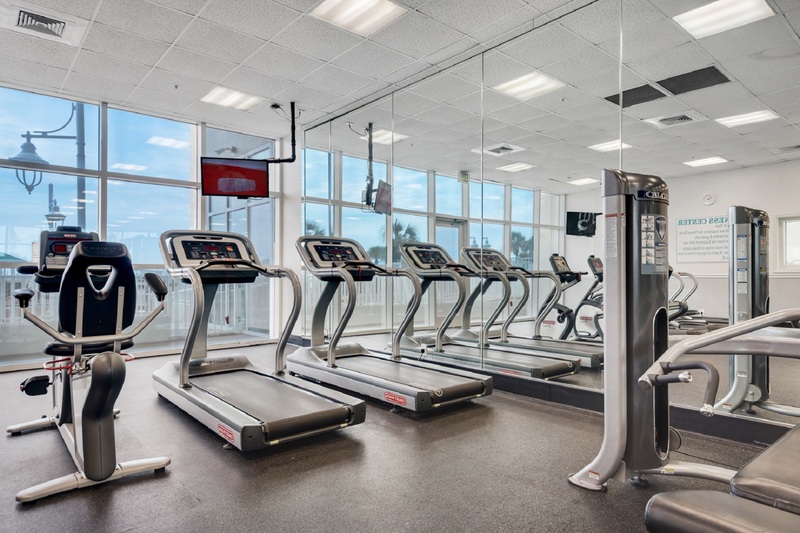 Majestic Sun has a nice pool and exercise room as well. We had a good experience with the owner/management company. Hope to visit again soon! " "Thank you for your feedback. Destin Palms staff is very team oriented and that includes the owner and management of our company. We are happy you had an opportunity to experience that first hand. We hope you will return again soon. 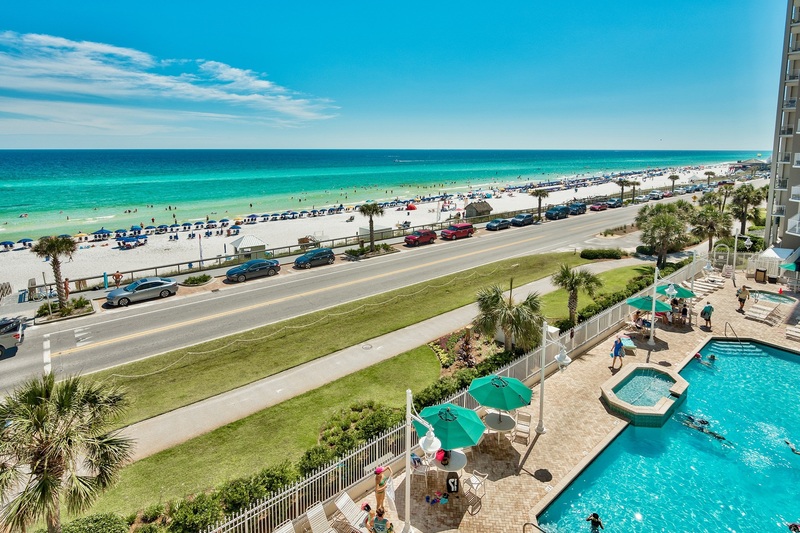 Destin Palms Management"
"We have enjoyed staying at Majestic Sun in unit 506b each year and this year was no exception. Beautifully decorated, state of the art kitchen, and all the little conveniences that guests like us appreciate. We love it and plan to keep coming back!! " "Thank you for the positive feedback and "Five Star" review! We look forward to you returning to this condo for your 2018 not sooner! 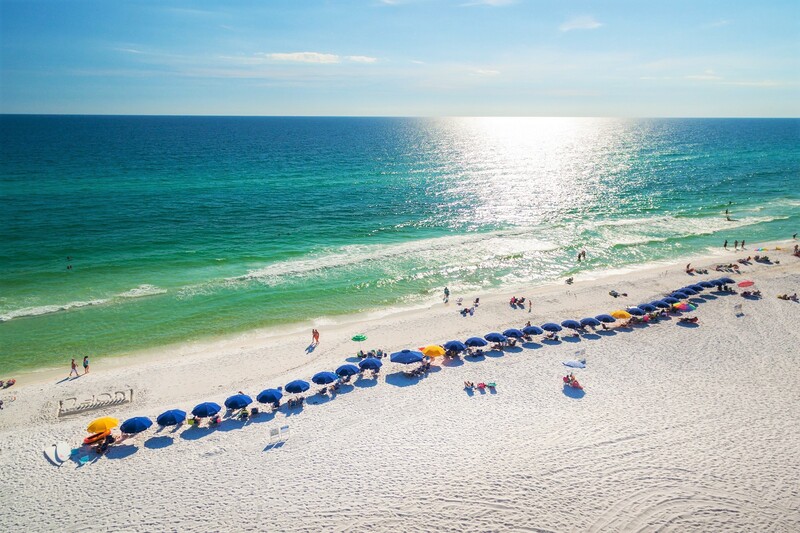 Destin Palms Vacations"
"We were late arrivals and had zero problems getting to condo. The security was helpful and parking garage was nice. Our condo was as described-clean, full kitchen, and beautiful view. The beach umbrella that was provided was not in good shape but we made it work. Overall, we were very satisfied and would recommend this condo to our friends. " "The property description was exact and reservation/check in process was seamless! Very clean and well maintained with happy and helpful customer service. The heated indoor/outdoor pool was a plus and the private access to the beach fantastic! Only recommendation would be to have newer pillows with protector covers on the master set and a newer mattress as it was a bit uncomfortable. Very nice to see a non-smoking property and noise ordinance with security on the premises. Car and family felt safe while having a great trip. " "The condo was very clean & roomy... we loved the view... Great vacation.. we will be back for the summer... "
"We enjoyed our stay at this condo. GREAT view of the bay and literally steps away from the beach. It was clean and kitchen had a nice set up. Only complaint we had was the outdoor balcony wasn't cleaned off and the outdoor seat cushions were very sandy/dusty and furniture arms rusty in spots. All in all a great condo tho! " "Always a great time. Condo was nice and clean. " "Wonderful vacation experience. Location was perfect, weather was beautiful. Property management was very easy to work worth. Would return again. " Only thing we would have wished for was a more comfortable mattress in the bedroom. Other than that, the place was very warming and felt like home. " "Our stay was absolutely wonderful. This was a great unit last year but the upgraded kitchen made it even better! Clean, comfortable great decor, all the high end appliances that you don't expect when traveling plus the beach chairs - PERFECTION! " "Wonderful view, and many wonderful memories. Pull out bed could do with a new mattress. Place was very clean when we arrived. " "Thank you for your feedback, we will share this with the owner. So glad that you enjoyed it, and we hope that you come in the future :) ~ Destin Palms Management"
"To the Hartman Family, Thank you so very much for opening up your home to us. It was my sons 16th Birthday and we had a blast a gift from his mother and I to go deep sea fishing and it was a blast. Your condo was perfect and more than comfortable with a beautiful view of the gulf. Everything was perfect and we thank you for helping create those memories forever for our family. thank you again!" "Happy Birthday to him! What a great place to spend a birthday! 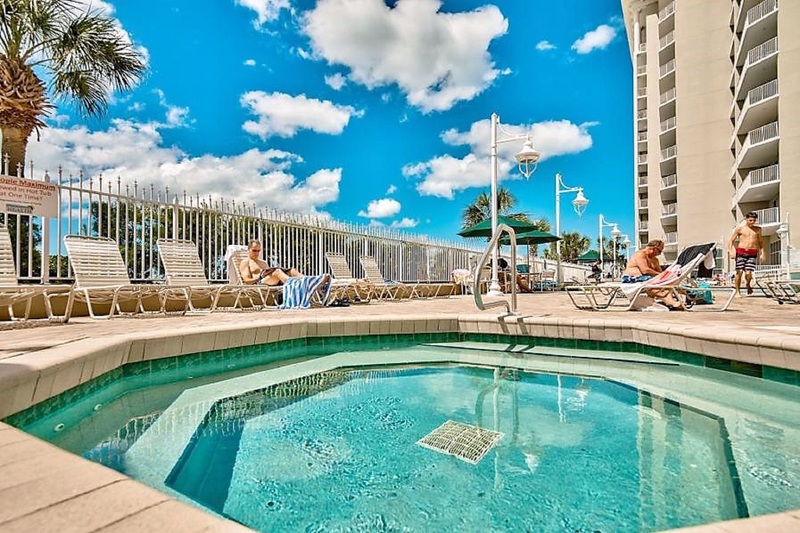 We are so glad that you enjoyed it, and we hope that you will come back to visit again in the future :) ~ Destin Palms Management"
"Accommodations were exactly as described. Location, perfect. Condo amenities were great!! View, amazing. Suite was very nice. Had everything we needed for our short 3 day visit do that it felt like home. My grandson loved the bunk beds. The only thing I would say is the bedroom mattress could really use an upgrade. And the bar stools very wobbly. To unsafe to use. I would suggest they invest in a higher quality stool. I would likely rebook." "Thank you so much for your feedback. The owners welcome guests comments and suggestions so they can make improvements to make every stay as enjoyable as possible. We are glad you liked the condo and we would love to have you back again! 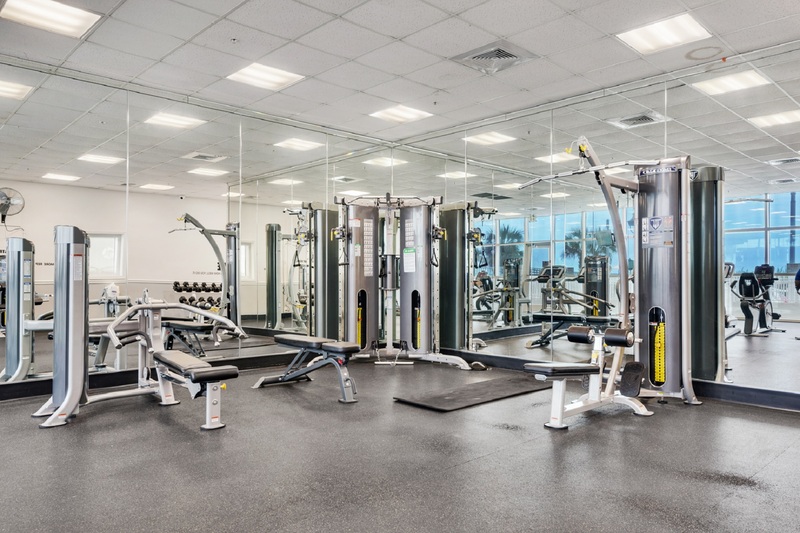 - Destin Palms Management"
"Very happy with the unit with two exceptions. One exception is the bar height dining table and chairs, as well as the tiny dining table that couldn't accomidate more than two people. Snow birds have some trouble hiking up onto the chairs. Second exception is the master bedroom bed, which is also too high for older snow birds. Had to find something to climb on to get into bed. All in all, great unit." "I absolutely loved the location of this unit, from the distance of the elevator to the closeness of the trash shute. Even though the building has a small road between and the beach, it is closer to the water than other buildings I have stayed at. I could hear the waves and see them from the kitchen sink. The walk to the beach was probably shorter than any building right in the beach. I loved putting all my gear in a luggage rack, pulling the car up to load and unload and parking right in front of the beach. We could go up to the car for drinks and lunch and had a short walk to carry our things. The front entrance (pool entrance) had showers to rinse off your feet. Since chair service is not available on the winter months, the beach chairs and umbrellas were great to have in the condo. The chairs had built in coolers. The use of the app was incredible for check in, check out and information about the resort. I never had to speak to the owners once. I would suggest a cookie sheet for the kitchen. It was the only item I was missing. " "Thank you for your feedback! We are extremely happy that you had such a fabulous time! 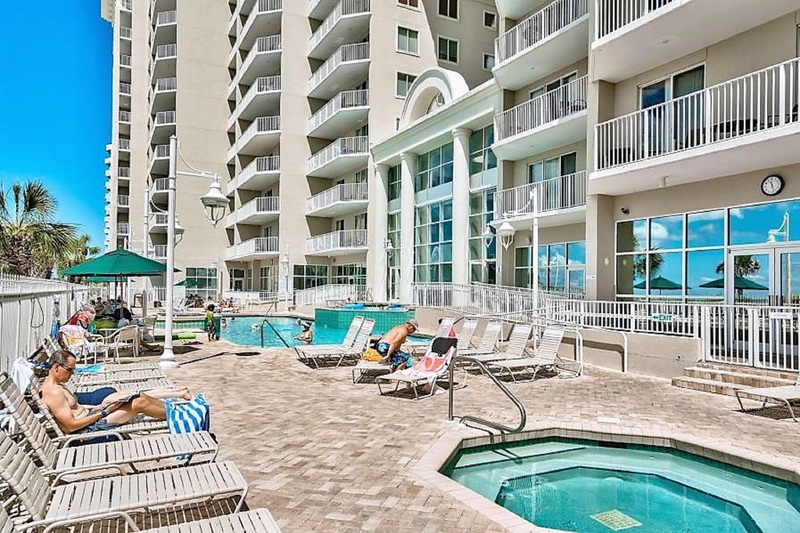 We will definitely make sure the unit gets a cookie sheet :) ~ Destin Palms Management"
"The condo was amazing value. The balcony has a beautiful view overlooking the beach. The pools and hot tubs were a nice bonus as well. The first day I arrived I was already planning on coming back again! Definitely a great experience. I HIGHLY recommend staying with Majestic Sun!" "It was very nice, the water was amazing, the room was great." "We are glad that you enjoyed your beach vacation! We hope to have you back in the near future to make many more memories! 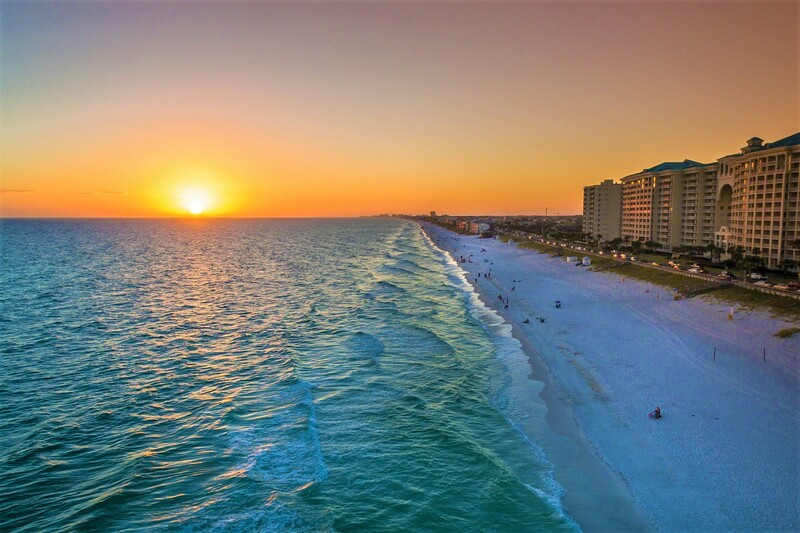 Sincerely, Destin Palms Management Team "
"This was our first trip to the Destin area and it was perfect! The condo was very clean and had everything we needed. Location was great and the view was unbelievable! " "The location was perfect .. off the main strip yet still very close to grocery stores, restaurants and shopping. The beach was amazing .. clean, clear, warm and 50 feet away. The pools were great. It was nice to have the indoor pool too so that you could get out of the sun and still be able to swim, I just wish it was heated all of the time. The unit was very nice and the view was amazing! However, there were two things that I wished for: 1. It to be cleaned at least once during the week so it felt more like a hotel/vacation and to give me a break. 2. More lighting, it was light and bright during the day, but as soon as the sun went down the unit felt very dark. Other than a few emails and text messages we never saw the staff, but everything was so explained and detailed in the emails that we had no questions. Overall it was a great week at the beach and an amazing family vacation! I would go back again in a heartbeat. " "506B was perfect for our first beach vacation. The view from the condo kitchen, living area, hallway, balcony is superb. I'm going to miss being able to see and hear the ocean. The beach chairs and umbrella are very nice to have. The Destin Palms condo system (keyless entry code, pool hours 8am-10pm, pre-arrival instructions, etc) were great. I couldn't ask for more. We were very pleased. No complaints whatsoever." "It was absolute perfection! The unit was clean and well decorated and it contained everything we needed - including items like the backpack beach chairs with coolers that were SO handy! The view was beautiful, too. Best vacation my husband I have had in years - we will be back!" "We are so glad you had such a wonderful anniversary trip! We look forward to having you back in the future! 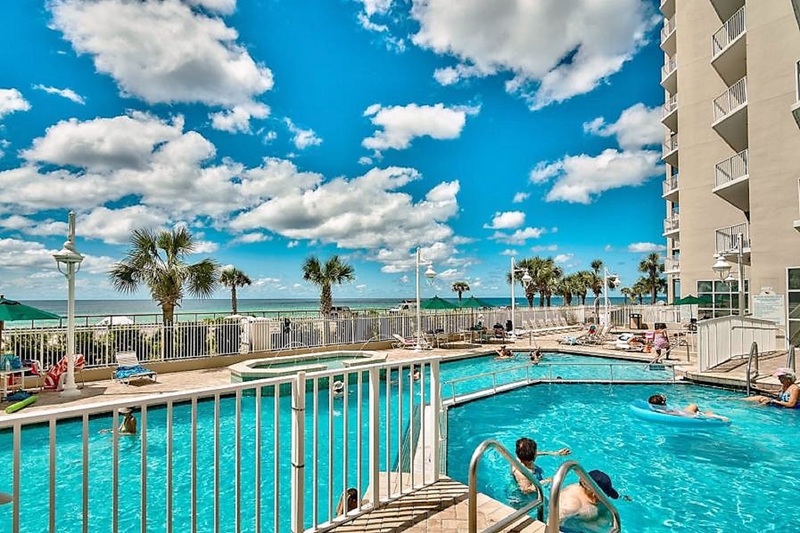 :) - Destin Palms Management"
"We loved this unit, was bright, had great amenities, loved the full size washer and dryer, and unit was very clean. The only very minor issue was that the vents in the 2 bathrooms did not work. The light switch turned on both the light and the vent which was inconvenient and noisy. We enjoyed the many area restaurants. The staff at Majestic Sun are great to work with. " "Thank you so much for the review. We enjoyed having you and glad you could prolong your stay. I am glad you brought up the fans, and it is something we should probably inform all our guests about. The fans are hooked up to the lights on purpose. 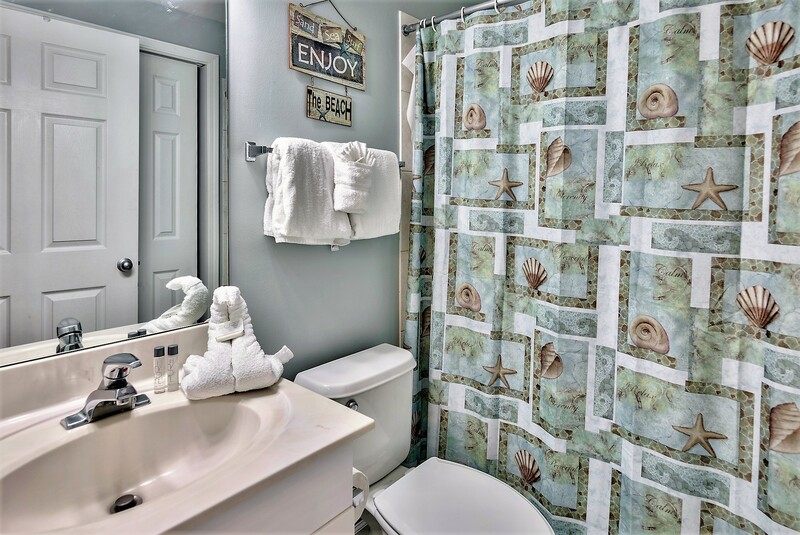 The bathrooms trap in humidity (Florida climate most of the year) and the fans need to be running when hot water is running or the washer/dryer is running. If the fans aren't turned on, moisture forms and could lead to more problems. Since we cannot expect guests to remember to turn on the fan every time, most of the units have the light linked to the fan. It is purely a way to properly maintain the condo as other condos we know of without this feature developed mold problems. I hope that makes sense. We would be happy to suggest to our owners that when the fans need to be replaced to consider a model with less noise. Again, we are so glad you enjoyed your stay and look forward to having you back in the future. 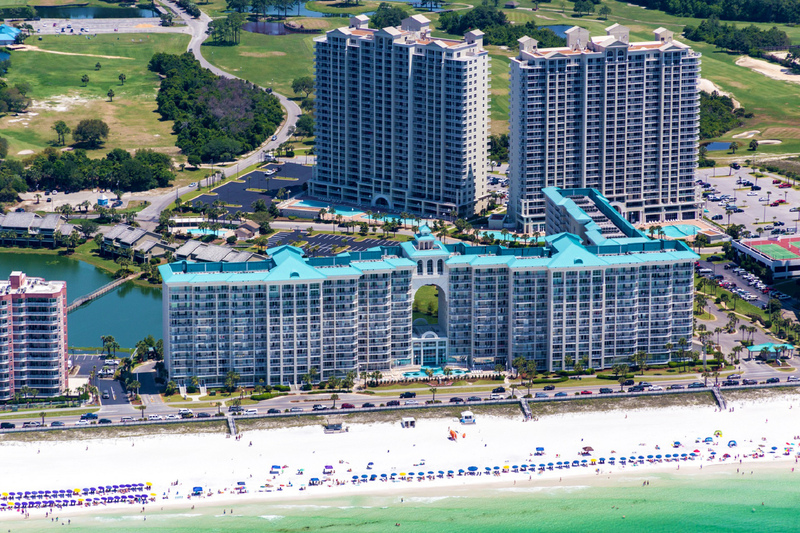 - Destin Palms Management"
"We travel to Majestic Sun several times per year. 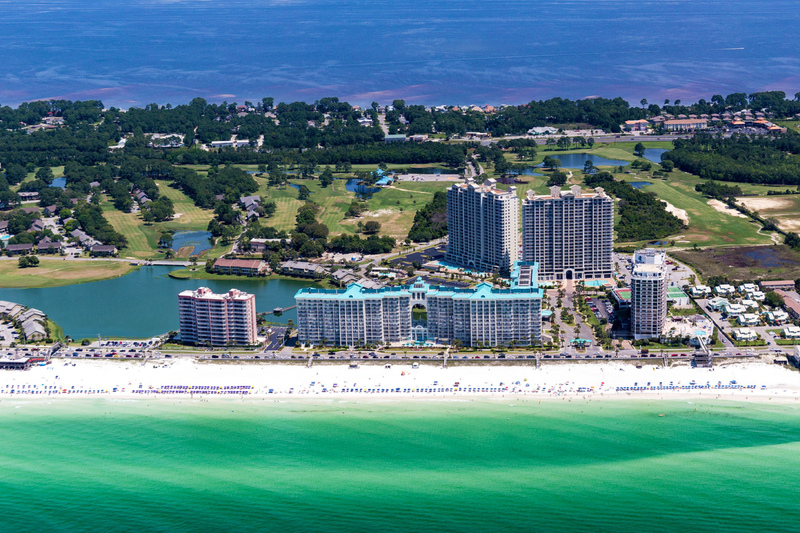 This was our first experience with Destin Palms, yet the most satisfied of all experiences. The decor was nicer in the unit, it was noticeably cleaner and the beach chair inclusion was a fantastic plus. The staff was extremely responsive. The check out was easier - leaving passes in the unit and a simple text to check out eliminated the trip to stop while departing. I'm very picky and I'm very satisfied! " "Thank you so much for your review. We really appreciate you taking the time to submit. We look forward to having you back in the future! 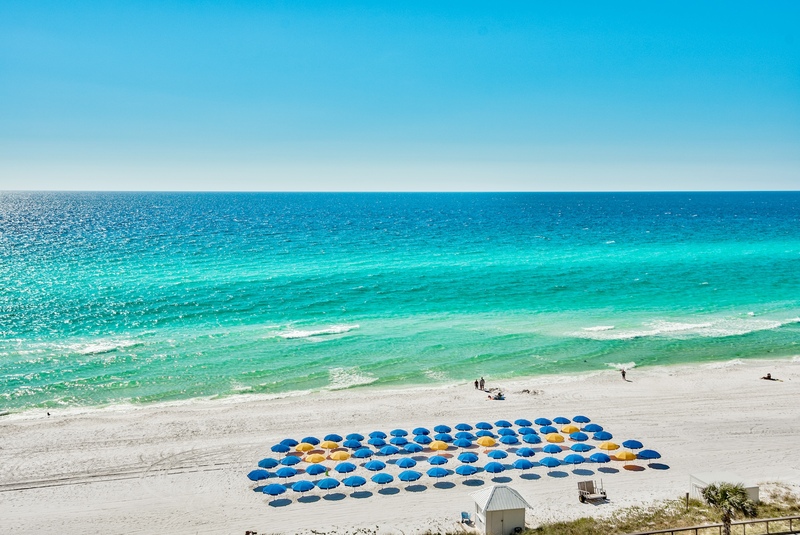 - Destin Palms Management"
"We had a great time and the condo was perfect. Will be going back." "Wonderful! We are glad you enjoyed yourselves and look forward to having you back. 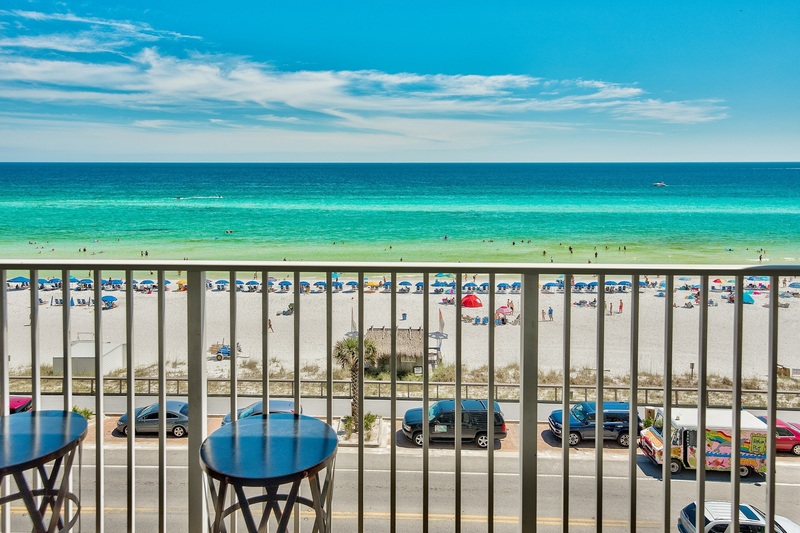 - Destin Palms Management"
"This is an awesome unit with a fantastic view of the gulf. It is very private, and comes with everything you need to have a wonderful time on the beach. This is our 3rd time staying in this unit, and the owners have been awesome. Cannot wait to get back!" "We are so glad you enjoy the condo so much! We look forward to seeing you again." "Rental experience was just amazing is the best way to sum it up!!! Valory has great communications and if you need any information about the local area just send her a message and she will help you out! The property was clean and maintained with security to watch over things!!!" "Thank you so much, Eric. We are glad you enjoyed your stay! And, I is awesome! We are so lucky to have her on our management team! Hope to see you again in the future!" "Our whole experience was amazing. Valory was very professional and extremely nice. The condo was recently renovated and was beautiful! The view from our balcony was the best part, just breathtaking! The whole condo building was impressive. 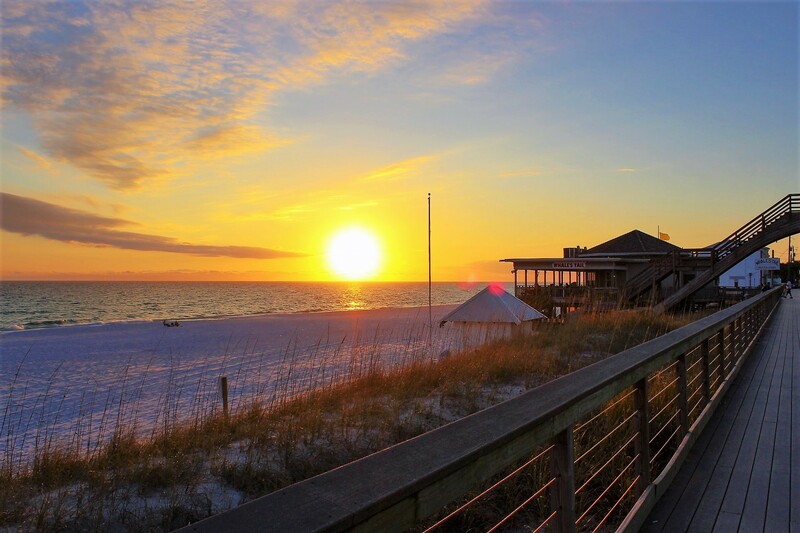 I can't wait to go back and stay at the Majestic Sun again." "We were amazed by the gorgeous gulf view of this property. My husband loved having his coffee on the balcony every morning. We could see dolphins from the balcony! The beach was a stone's throw away at just a short walk across the street. The condo was beautifully decorated and very comfortable and clean. The booking experience was a breeze everyone was so friendly and we loved the chairs and umbrella that were offered with the property. Overall a wonderful stay that I would absolutely love to repeat every year at the same condo. Thank you! " "I love to stay at Majestic Sun. 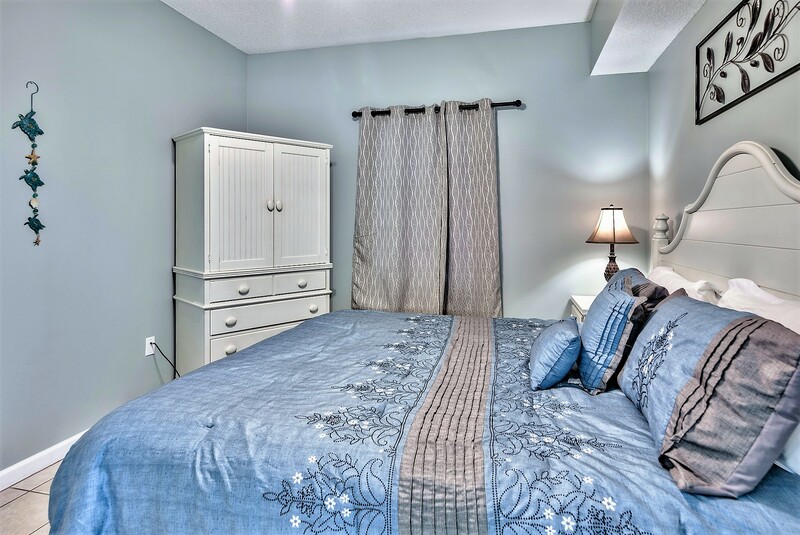 The condo was clean, the property manager was accommodating, everything was perfect!" 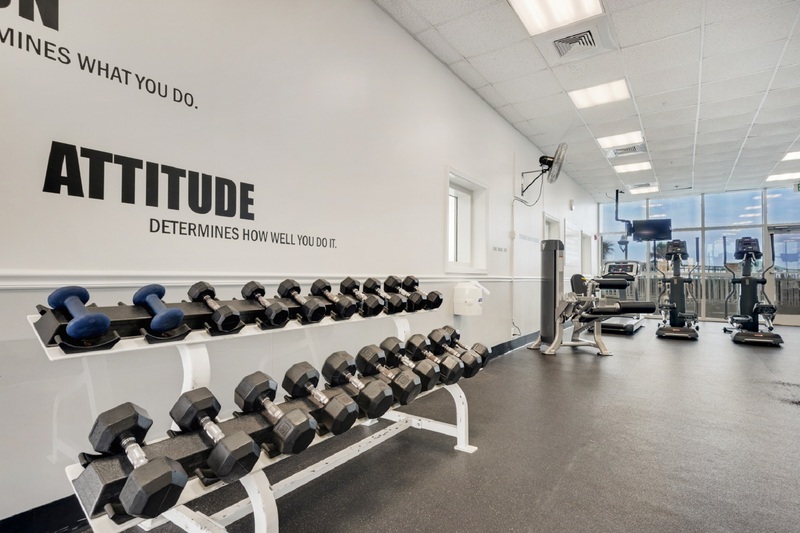 "I've rented within this facility in previous years, however this time was different. Booking this condo was an easy transaction and our contacts were very thorough... even provided us with "Things to do". The condo was beautiful and provided amazing views. "